How do people stay healthy in an unhealthy world? That's the question this series of small, practical, accessible books will answer, with a focus on taking care of your physical, mental, and sexual health. Are you a nurse, an herbalist, a physician's assistant, a naturopath, a surgeon, an acupuncturist, a family doctor, a physical therapist, a midwife, a reproductive health clinic worker, a dental hygienist, a medical anthropologist, an epidemiologist, or any other sort of health expert or practitioner? What do you wish more people knew about taking care of themselves? What would you tell your patients if you could see them for longer than 15 minutes at a time? What knowledge and skills can you pass on that would make the biggest difference in someone's life? This is your chance to share your expertise! We are seeking authors for short, instructive books that fill a gap in public knowledge and augment the resources provided by the current healthcare system. Books should be focused on building practical skills and understanding the science behind why they work. Holistic perspectives preferred. We're reclaiming these ideas from the reference shelf and making them easily and cheaply available in stores. Manuscripts should be 10,000 to 30,000 words. You can come to us with a completed or partial manuscript or just an idea. We prefer submissions for this series by credentialed professionals, but we'll consider proposals from folks with lots of hands-on life experience in their topic. 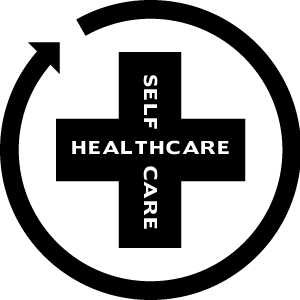 To submit, fill out the contact form on our FAQ page and mention that you're submitting to the Self Care Healthcare series.